"My cat destroyed my beloved Claire Murray rug. I brought it into First Rugs and got a very reasonable quote from Jenny West. My rug was ready within two weeks and it looks brand new! I'm so happy First Rugs saved my rug!" Andy and I so appreciate working with people whose knowledge, experience and integrity we can count on. The team at First Rugs has been incredible to work with! I needed four rugs to furnish my living and dining rooms, foyer and media room. Cynthia made the experience so fun, and educated me on different types of materials, construction and what differentiates an OK rug from an amazing rug. I was pleasantly surprised to find rugs in a wide range of price points, and there were so many to choose from. Cynthia, Ali, Emma and all the other folks I met truly have a passion for their work, which made my search that much more fun. They loaned my husband and I several rug options, and Cynthia even visited our home with a van full of additional options. I cannot say enough good things about First Rugs and the great people who work there. This will always be my go-to place for rugs! 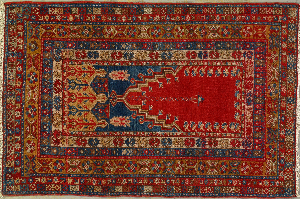 As an interior decorator based in Lexington Massachusetts I have used First Rugs for many years. They are the first ones I turn to when I have a decorating project which requires rugs. I use First Rugs because their offerings are a cut above the norm. 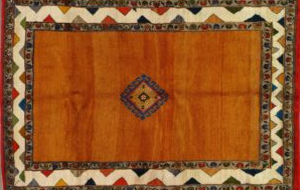 Their rugs are unusual and exceptional in quality and beauty. 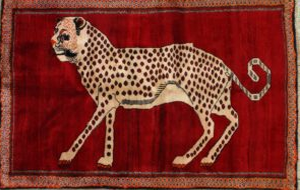 Their staff is courteous, pleasant and extremely knowledgable not only in new/old oriental and modern rugs but also in appraising old and existing rugs my clients may have acquired. I use First Rugs because they provide the high quality level of service which I require in order to provide my clients the most in value added services. I have purchased a number of rugs from this company. They have items you will not find anywhere else. All of their products are of the highest quality, whether antiques or contemporary. The owners are extremely knowledgeable and helpful, as are all the staff. It is a joy doing business with them! I love this store. First Rugs offers not only offers the most beautiful selection of rugs of all sizes, but also very personal attention in finding the perfect design to complement and enhance a room. It is very engaging and informative to work with Cynthia First and her team, who are extraordinary in their knowledge of design and the inventory. They are all very attentive to your concerns, from the budget to the aesthetics. The store environment is intimate and amiable, making the process relaxing and fun. Plus, you can take a rug home to help you make the best informed decision. We had an excellent experience with Cynthia and First Rugs! Cynthia was most knowledgeable and helpful. She went out of her way to lug dozens of rugs over to our home so that we could try them out in several rooms. We are so pleased with our choices . The rugs are beautiful and now enhance our bedrooms, den, hallways and kitchen. I highly recommend First Rugs for their enormous amount of choices in all kinds of rugs and for their wonderful service. We couldn't be more pleased. Thank you Cynthia!! 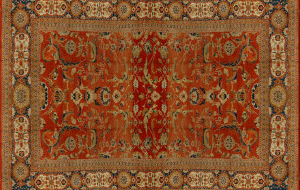 First Rugs are very knowledgeable and friendly .They go out of their way to find just what the customer is looking for. 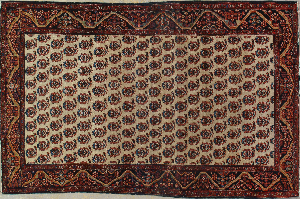 If you are shopping for a beautiful handmade rug for your home, I highly recommend First Rugs. Cynthia, the owner of First Rugs is not only knowledgeable about her rugs, she is a great person to work with. She will patiently help you find a rug that will be the right size, color, and style for your home. I have purchased multiple rugs from this store over the last four years and each one is a "work of art for my floor". Her prices are competitive as well. My experience with First Rugs has been exceptional. I've purchased several rugs over the past several years at First Rugs and have been impressed with the knowledge and professionalism of the owner Cynthia and her staff. I appreciate the time and care they put into helping me select rugs that are perfect for my home. They are knowledgeable,cheerful and energetic; whether flipping through rugs at the store or coming to the house with dozens of rugs to try out in the desired location. Cynthia's extensive knowledge of rugs and expertise in design made the process extremely enjoyable for me. It has been a stress free experience. I wish I had this experience thirty years ago when I first started to buy rugs. In addition, I've had a hall runner installed and many rugs cleaned, some repaired at First Rugs. I highly recommend First Rugs for all of the services offered . Very flexible you can take several rugs at a time to try in your home They have a wide variety of designs and styles from traditional to modern. The quality is superb. Many of rugs are art for your floors and make a real statement of craftsmanship and not simply something to walk over. The service I have received on every visit has been flawless. 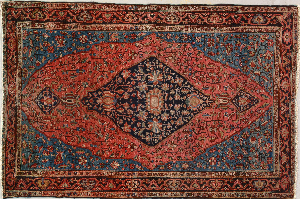 Over the years we have purchased several beautiful rugs from First, both new and antique. Cynthia and her staff are wonderful to deal with, and very knowledgeable. 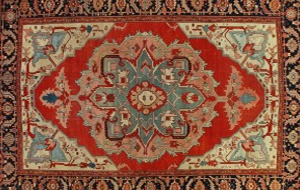 In addition to selling , First Rugs also offers cleaning, deodorizing and repair. They are trustworthy and can work within any budget. I can't recommend them highly enough. I worked with Cynthia First at First Rugs and highly recommend this business. 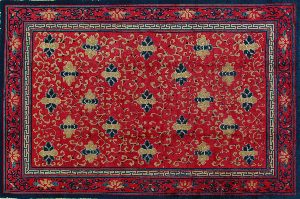 First Rugs has a generous inventory of beautiful rugs. Their service is first rate. With Cynthia's help, I have placed beautiful rugs in many of my clients homes. We worked with Cynthia First to furnish rugs for our home. We will work with her to do this for our vacation home as well. Cynthia has a great eye and design sense, she's incredibly knowledgeable about rugs, and is very accommodating. She listens to what her clients want and then provides lots of choices. Not only is she professional, she's very personable and someone with whom it's easy to work. I would recommend her without hesitation.